Audi A3 Cabriolet Running Costs, MPG, Economy, Reliability, Safety | What Car? 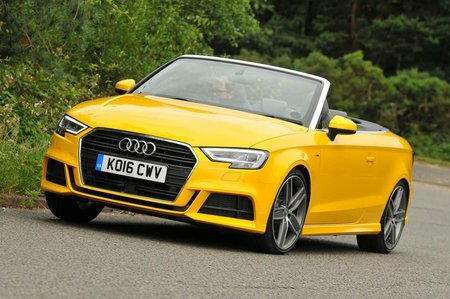 Prices are on the high side but strong resale values mean you should get a lot of your money back when you sell your A3 Cabriolet. They also mean you can expect a high future value, keeping PCP payments low. All the engines are efficient by the standards of the class and low CO2 emissions mean the A3 Cabriolet is a fairly tax-efficient company car. No fuel-sipping diesels are available, but even the 1.5 turbo petrol is relatively efficient, thanks to clever technology that can deactivate half of the engine’s cylinders when you’re cruising. Despite representing the entry point to the range, we’d recommend Sport trim. This gets you a range of desirable features including an ‘acoustic’ roof, DAB radio, sat-nav and dual-zone climate control. S line models add larger alloys, part-leather seats, LED headlights, LED daytime running lights and various sporty-looking touches. If you’re tempted to go for this range-topping trim, we’d suggest sticking with Dynamic suspension for a smoother ride – it’s a no-cost option. Although we don’t have specific data for the A3 Cabriolet, the A3 hatchback performed averagely in our latest reliability survey. Audi as a brand finished 20th out of 31 manufacturers in the same survey. Like most Audis, the A3 Cabriolet comes with a three-year warranty as standard, which is limited to 60,000 miles. Audi does offer four and five-year extended warranties at reasonable prices but, again, they carry a 75,000 and 90,000 mile cap respectively. Every version of the Cabriolet comes with stability control and front, side and curtain airbags. You have to pay extra for Audi’s Pre-sense system, though, which automatically primes the safety kit if it senses a collision is inevitable. 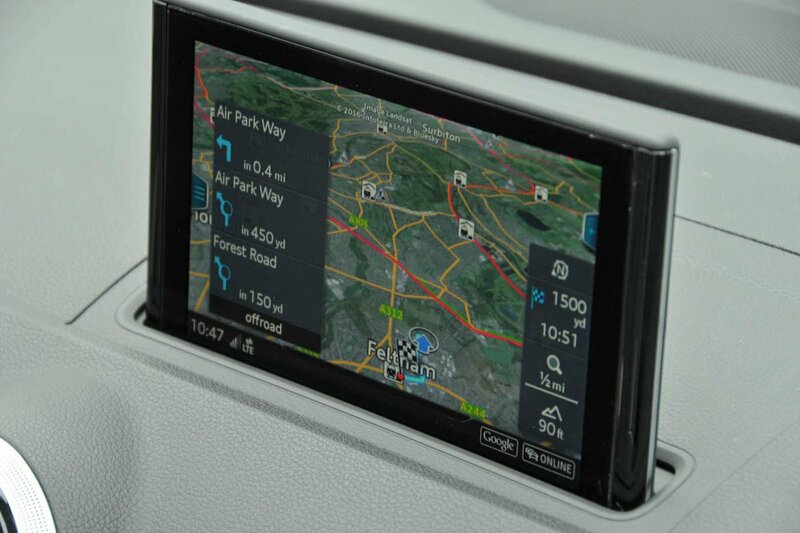 The optional Driver assistance package is quite expensive, but bundles up some impressive driver aids including adaptive cruise control, active lane assist and Audi parking system. Far cheaper is the optional Audi side assist, which monitors the car’s rear blindspots and alerts the driver if another vehicle is present or approaching at speed. Adaptive cruise control with Pre-sense front is also a good value-for-money package that makes motorway jaunts more relaxing. The A3 Cabriolet hasn’t been crash tested by Euro NCAP, but the A3 hatch on which it’s based, has. That car was awarded an impressive five-star rating and a particularly strong score for adult crash protection. Its child protection rating was only reasonable – slightly worse than a Volkswagen Golf’s. Deadlocks and an alarm with immobiliser are fitted as standard, and the A3 Cabriolet received the maximum five stars from security body Thatcham for its resistance to being stolen. It also scored four out of five for its resistance to being broken into.